This is a rectangular Mayer’s Custom-Made Shoes porcelain sign. This particular Mayer’s Custom-Made Shoes sign is blue with white print. 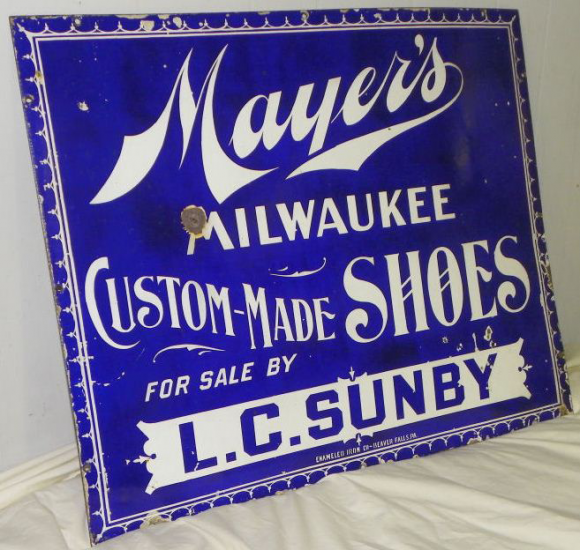 It reads, “Mayer’s Milwaukee Custom-Made Shoes, For Sale By L.C. Sunby” and features a white decorative border.